To make a long story short, Namine’s heart is as healthy as ever. This is surprising given that she’s only post-Glen, but not at all surprising when you take her caudal regression into account. The physiology of post-Glen, pre-Fontan patients is such that all blue (deoxygenated) blood above the heart goes straight to the lungs; all blue blood below the heart still ends up in the single-chambered heart (remember, Namine is missing the muscle wall that separates the left and right chambers), resulting in lower oxygen saturation. Most long-bone growth is accounted for in the lower body – namely, the legs. But due to caudal regression, Namine’s legs are tiny in comparison to her peers; this means, at the end of the day, that she will be healthier, longer, as a Glen than her normy peers. It is her new cardiac doctor’s opinion, as it was of her old one, that Namine is perfectly fine as she is, and is in no need of the Fontan. We’ll revisit her cardiac status in six months. 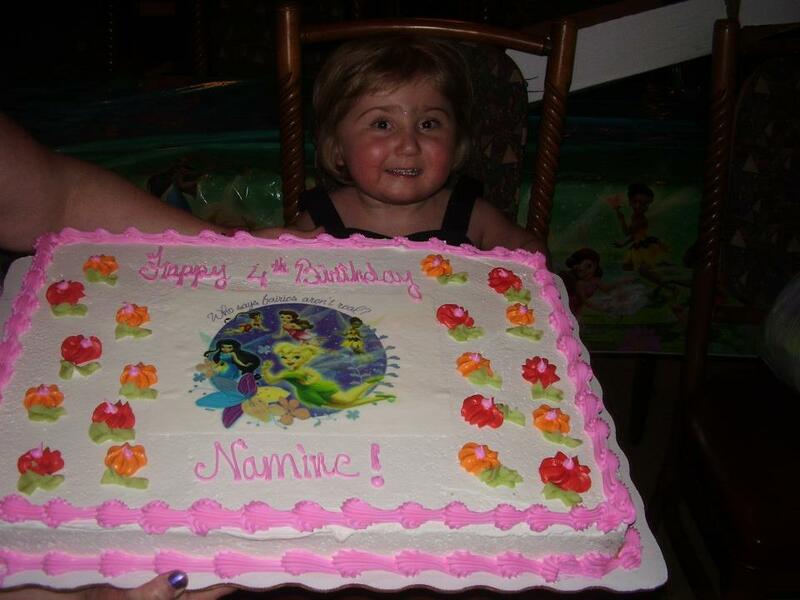 We had Namine’s birthday party on Sunday – and what a party it was! As it was her first birthday being completely tube- and equipment-free, we decided to splurge. We invited a whoooole bunch of people: friends, family, doctors, and nurses. We celebrated not only Namine turning four years old, but also the victory she’s had with the help of hospital staff, family, and friends in overcoming so much. 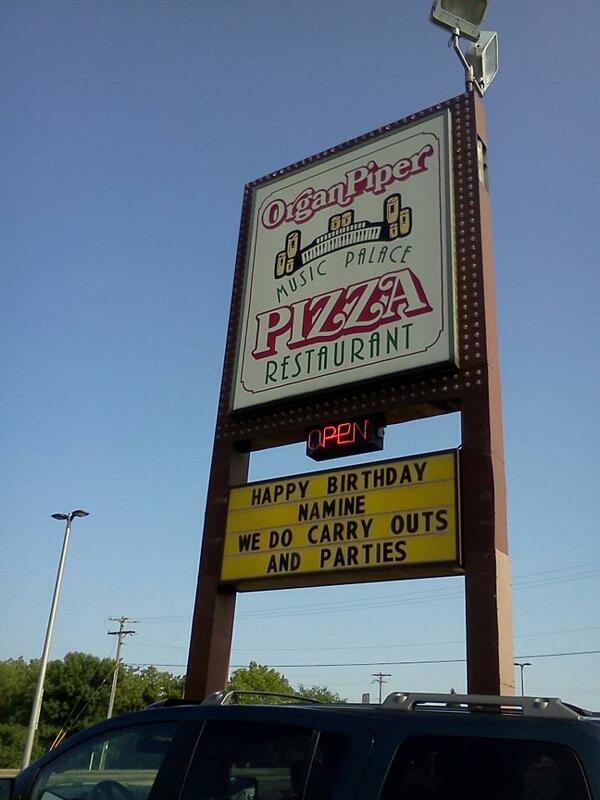 We had her birthday party at a restaurant that Namine absolutely loves: Organ Piper Pizza. We had a ton of pizza and a huge cake, and Namine had a blast. With all that excitement, her legs were hurting her pretty badly that night. Whenever her legs bother her, she tends to roll around a lot at night; Sunday night – really, Monday morning at about 4:00 or 5:00 – she fell out of bed. Fortunately, she also took the big plush Elmo with her, and landed on it. Still, she screamed pretty loud when she hit the floor. We were afraid that she’d broken something, so Jessica took her yesterday to see her orthopedic doctor. He took some X-rays and concluded that nothing was broken; she probably just banged her feet together when she landed, and that probably gave the pins in her foot bones a pretty good jangle. Last night her feet were doing fine.